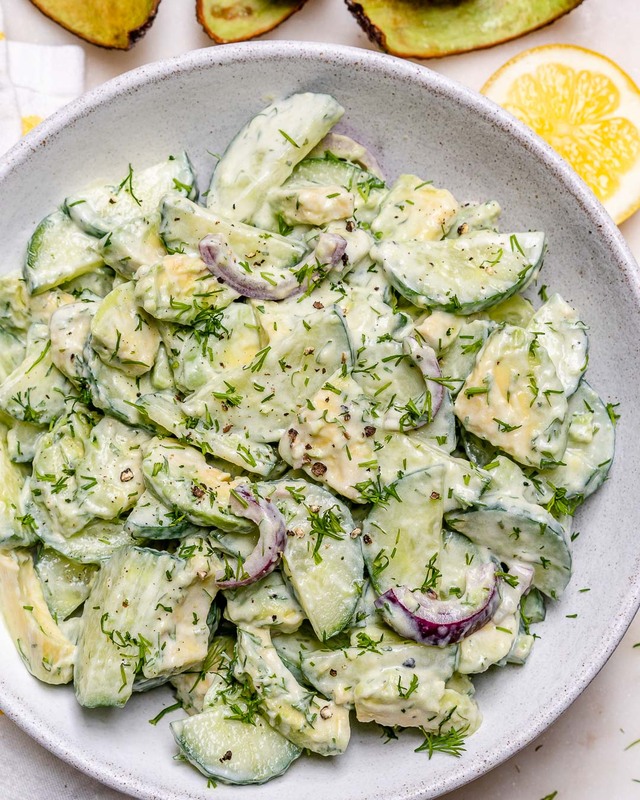 Quick & Easy Cucumber Avocado Salad to Shed Water Weight & Inflammation! 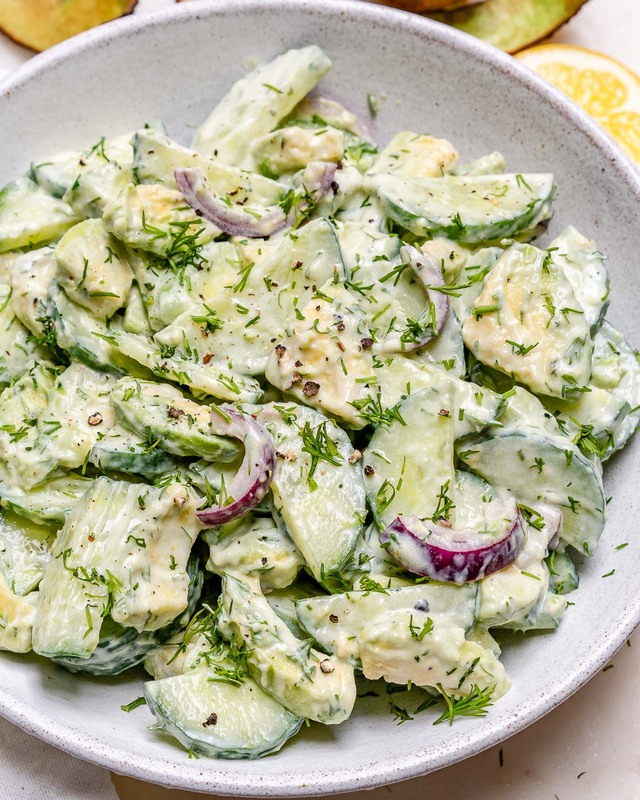 In a small bowl whisk your yogurt, lemon juice, dill, garlic powder, sea salt and pepper. 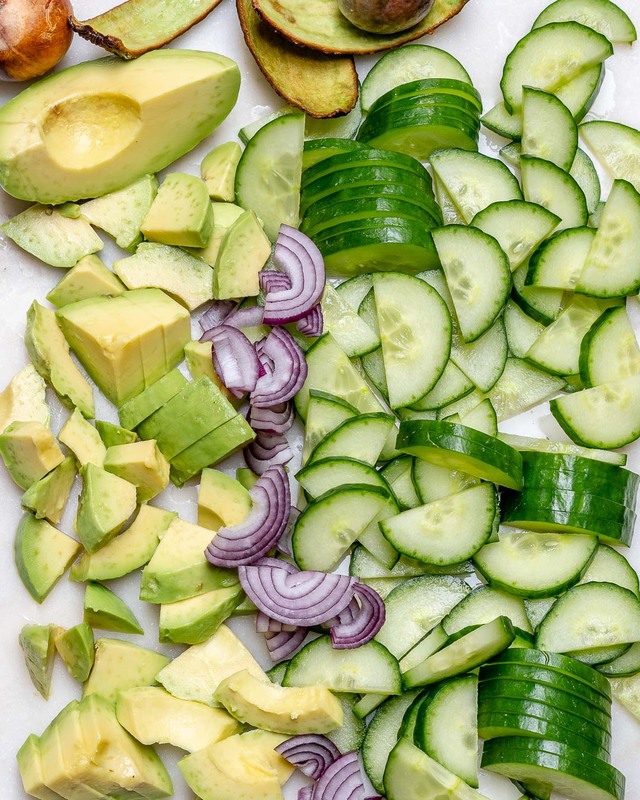 In a large glass bowl add the cucumbers, avocado, and red onions. 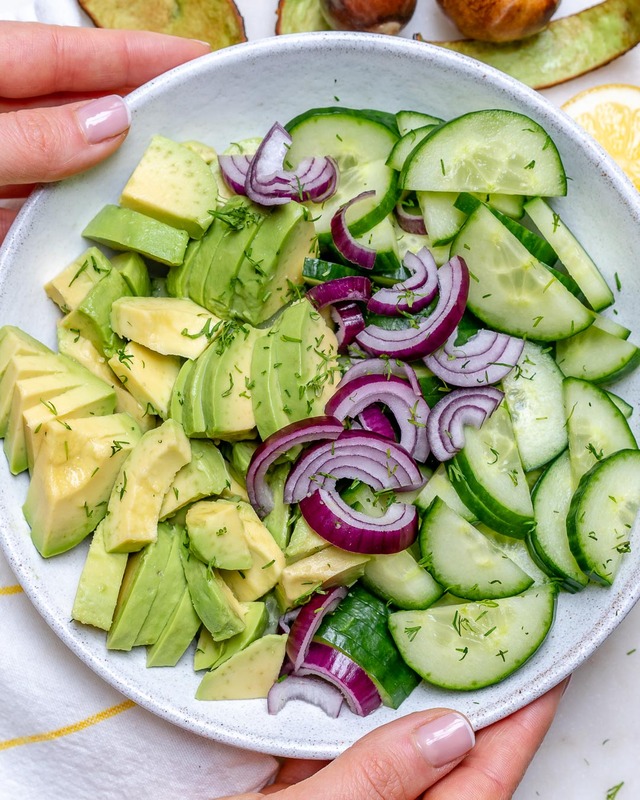 In a large glass bowl add the cucumbers, avocado, and red onions. 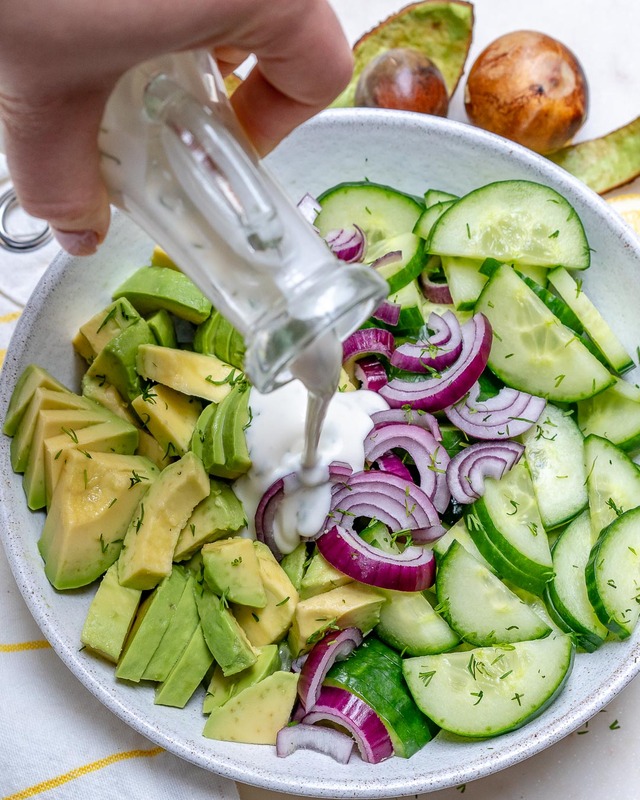 Just before serving pour dressing over and very gently toss to combine. 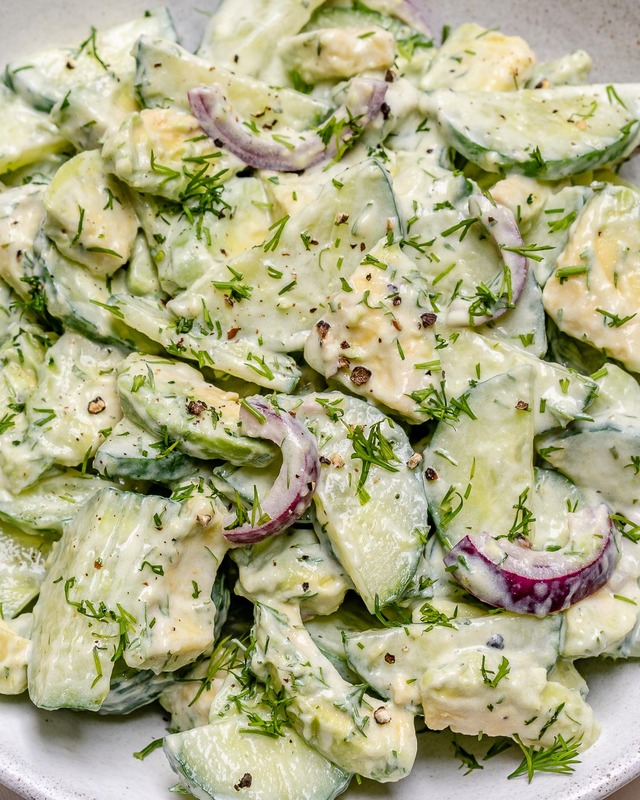 In a small bowl whisk your yogurt, lemon juice, dill, garlic powder, sea salt and pepper. 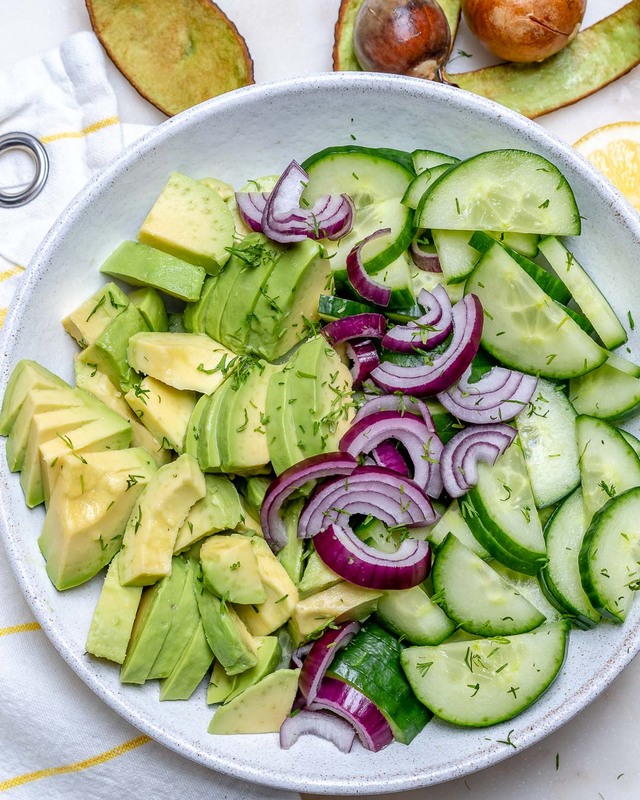 In a large glass bowl add the cucumbers, avocado and red onions. Just before serving pour dressing over and very gently toss to combine.